I’m so happy that I came across this blog a few months ago!!! 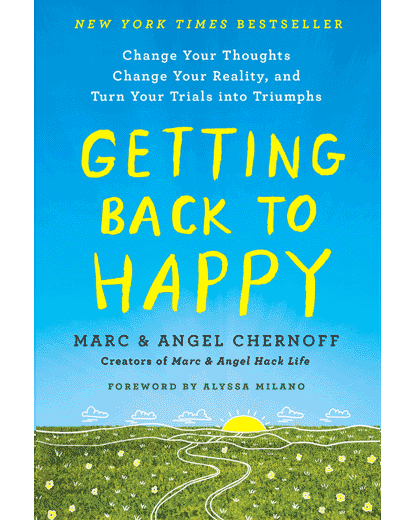 Not only is it positive and uplifting but it offers practical advice in an engaging manner. stop expecting people to agree with your idea of who YOU are. I used to think all of this. But I realised that humans are small tribe creatures, and we do look for approval and acceptance no matter what our level of self-acceptance. Just look at our closest relatives, chimps. They spend all day either trying to fit into “the group” or being cold-shouldered. That’s how human politics started. That’s how relationships of all kinds started. That’s nature. So these days, I say, embrace your need to fit in. And find people who like what you like. Make friends through interests and not circumstance only. I agree with your comment. We all want to be liked and approved of. This is part of the connection of being human. Families are like “tribes” and they all have their own rules and if you don’t go along with these then you are shamed and ostracized. Sometimes you need to find your own “tribe” and spend time with the people who really love and appreciate you for who you are. These are good points. It has taken me a long time to learn to love and respect myself because I was around a lot of people who were always (destructively) critical of me. I know what everyone on this blog is going to say, it is not about what people like or don’t like about me. Another thought that I just came across is when we put labels on people, I think that we forget to show and take a real interest in that person. Some examples of labels that I was always around is Christian (when in church), troublemaker, student. lazy, just to name a few. I think that labeling people on any level is counterproductive, depending on how it is used. If labels are used on a critical level, it will be a losing battle for everyone. Throughout my life I was always expected to please everyone, but we will never be able to do that so I no longer waste my time trying. One of the hard lessons that I have learned in my life is that people who always put expectations on my or have always criticized me never took the time to know who I am as a person. This article had me in tears. This is something I struggle with a lot in my life, and as the years go on and the more I learn about these things written in the article I try and remind myself of them, really to make it a way of life. Recently Ive been struggling with the lack of over all support from my family and friends while I am in this process of following a dream ( Traveling to Volunteer), and I seem to get into tears because I am expecting them to be as excited about my trip as I am. I am expecting them to show support because I feel like its lacking, and I just end up angry and disappointed. So reading this article today touched me very deeply, for it feels much healthier and satifying to follow these “rules” than allow myself to get all angry and hurt ( which just ends up pushing people away, because I become a bully and try and “make” them do what I want haha) It seems to be a struggle trying to stay positive, hopeful, kind, compassionate, and true to myself and feelings ( and sticking up for them!) but not expecting things from other people and not allowing other people to control my emotions because their actions let me down. This article says it so beautifully. Thank you! I can totally relate to your posting Ashleigh C 🙂 ! I am the exact same way as you, I expect people to react the same way that I would if they did or said something to me. For example: If a friend told me they weren’t feeling well I would say to them, “Sorry, to hear that I hope you feel better soon,”. Now, if I were to tell a friend that I didn’t feel well and they didn’t say anything back to me, it would make me feel like they didn’t care about me. So, therefore I am expecting that friend to say the same thing back to me as I would them. Did this article help you change your expectations at all? Just curious. Depression makes things even harder and so does living alone. I am also jobless with no friends so that feeling seems to multiply! In all honesty its hard to not have any expectations in life but reality tells us that life is seldom ever going to be as one would like it to be and so we better get used to enjoying the simple things in life.! And if we promise ourselves to do something then we better do it; because in reality no one else can do it for us. I believe that most of us who expect too much from others; are not living fulfilling lives or doing what we truly want to do; so we should get on and do it and gain fulfillment from our promises to ourselves. So maybe blaming others for whatever is lacking is just a cop out ‘for what we are not doing for ourselves’ in the end. Lets stop making excuses! Myself included!! I like this article. “Hope for the best, but expect less” is powerful and encapsulates everything….and prepares us for the real world. Having expectations and wanting others to live up to them surely sets us up for many disappointments. Not expecting anything from anyone other than hopefully respect which isn’t always guaranteed, can make one feel very alone in this world but it is a realistic view to realize that not everyone will want to like us. People are very complex beings, and friends are sometimes enemies in disguise. I thought about your last line and how it works in reverse too! A lot of my best friends started as enemies because we judged each other too fast, or misjudged each other’s actions and expected this or that from one another. I have a very hard problem with expecting too much of myself and others. My mom was very very strict and expected way too much out of me cause I was the oldest, had too watch my sister and brothers. I was also a kid who suffered from child abuse/ torture. So know I really have a hard time, thank God hes helping me. This was very encouraging to read this, it really has made me think and help myself out. Thanks so much! For starters I’m very greatful to have came across this article. I’m in a very difficult period in my life with wishing and hoping others would understand how I think and feel. Well let’s just say no one seems to understand me or appreciate me or at least show me that they do. I have come to the conclusion that it is because I am expecting them to be like me and well no one is like ME. I love to help others and even go out of my way to get things done for others. Sometimes though I get very angry and upset when others don’t care about my needs or even offer any assistance to me. It has taken me forever to realize that I am creating my own misery and unhappiness, I haven’t ever wanted to accept that I am Expecting too much from others. Because I felt what I was expecting should be what people do for others on their own and that is clearly not the case. I’m not changing who I am because I know GOD has me here on earth as a helping hand but I will stop letting the emotions of being let down by others affect my life. When you realize no one is loosing any sleep over your issues it really puts things into perspective. Wow! This is me all day long. It’s good to know that I am not alone in these thoughts and feelings. I sometimes think I’m going crazy, but now I know I’ve just got to let it go. Thanks for responding. wow! I came home from a family gathering today so upset at some of the things my mom said to me…and I’m 56 yrs old. So as I’m voicing this disapointment to my husband, he could care less, his way of dealing with the hurt is for me to say “the hell with you” and not go visit with family. Yet another disapointment from my “loved” ones. Really? am I the one who is crazy for expecting more from others? Have you read anything about codependency and “caregiver” attributes? People who give and give and give and rarely receive anything in return? Might be worth reading about if you haven’t, there are a lot of people in the same situation and lots of good advice for living a fulfilling life for yourSELF and not only living to serve others. Cheers! As we go through life we learn how to deal with the ups & downs. I like to share my wisdom with the younger folks that we all have a story to tell of moments when we thought the world was going to end. No matter what we go through one thing is for sure “This too shall pass.” Learn something from it, if you don’t it may come back to give another lesson. There are no losers, everyone wins something. Listen to that inner compass we each have inside us it will guide you. Thoughts become things, choose the good ones. Emotions and the relationships make us blind some times and that is the reason we expect. In situations where i feel i have not been accepted , i step out and see from their perspective and give time for them to come out of the emotions and then discuss my point of view. Some times this helps ! At the end , it is living with family and friends! This is so true I used to be so codependent and expect others to join me in my beliefs, activities etc or I’d join them in relationships. I did this once with someone that was worse than ever and I’m so sorry. If God could figure me I’d be so grateful. Pkease. I’m currently in a relationship with a wonderful man who’s dealing with getting custody of his teenage children. My children are grown and don’t need Mom. So I have all of this free time and I want to spend time with this person , go on adventures etc. He works full time ( a good thing ) and has work outside of that as well as a hobby his passionate about. A well rounded person – although quite busy. When we’re together, I feel loved and cherished and we have similar values. The very things I admire about him, leave me home alone quite often. His family comes first. He’s a hard worker and knows what makes him happy. He’s never met a stranger, etc etc. So who has the problem. I find myself resentful ….and I don’t want to be. I don’t want him to be different. I wouldn’t want him to walk away from his children for example. Or stop working. I find myself full of self talk – thinking of letting him go…….bc we’re just not in the same place in our life. I feel like another responsibility for him sometimes. When things came to a head with his children and their mother, I suggested we slow things down. Maybe I was testing him – wondering what his response would be……….He really wants this relationship to work. We both invested quite some time. And we love each other. This post really helps me STOP and think. I can find my own joys and adventures without sacrificing my relationship with him. Love is freedom. In life, don’t expect anything from anyone. Because expectation, when not fulfilled, gives you pain. When you get something without expecting it, It’s gives you pleasure. Keep doing your part and leave the rest to God..